#myDubai Guide Part #3: Jumeirah's Facelift! News Flash: Update to #myDubai Guide Part 2: The doors have closed at The Atlantic @ Souk Al Bahar. A replacement restaurant has been added for you to plan your itinerary. New Life is being injected into much of Jumeirah’s 3 seafront districts. A timely facelift for one of Dubai’s earliest populated areas outside Old Town. Here, pearl merchants and fishermen settled and with them came commerce; roadside restaurants, beach cafés, supermarkets and speciality stores. With beach access and man-made islands, travellers looking for sun and sand in Dubai might consider basing themselves at Jumeirah. There’s a lot happening in this area so Jumeirah 3 pops up in #myDubai Guide Part #4 coming soon. So for now, welcome to #myDubai Guide Part #3: Jumeirah’s Facelift! The borders separating each of Jumeirah’s 3 districts are a little blurred. For the sake of this guide, we’re using Al Diyafah Street in the north running west from World Trade Centre roundabout and Al Safa and 77B Street south from Dubai Mall. This 9 square kilometre area holds its own in “the things we love” stakes with fabulous options to #eat #drink #explore #shop & #stay. Dining with a gentle evening sea breeze makes fresh seafood taste even better and Flooka’s outdoor terrace is the perfect location. Choose your own market fresh seafood from ice displays or allow the Chef to choose for you. Either way, you’ll be delighted by the simple fresh flavours of the sea. The menu, reminiscent of a seaside restaurant in Byblos, our recommendations are the simply grilled squid with olive oil & lemon and prawns provençale with a touch of garlic & white wine. The rocket salad with purslane & lemon dressing complements both of these dishes and if there’s room, add delicious seafood croquettes. Flavours are fresh and uncomplicated allowing the produce to shine. For a taste of Turkey with Dubai Skyline views, stop by Turkish Village. With a menu catering to carnivores, pescatarians & vegetarians alike, Turkish Village provides a journey through flavours from clay pot cooking to charcoal grills. Turkish Village is unlicensed so indulge in their traditional tea menu. You won’t be disappointed. Masti sits on the beach at La Mer. Once construction is complete, views of the Arabian Gulf will be added to the reasons why Masti should be on your Dubai foodie itinerary. Inside, the colour palette and design features whisk you off to an exotic location. The draw at Masti is the contemporary Indian cuisine, but what does that actually mean? Chef Hari Nayak has combined modern and international with traditional and local techniques and flavours to produce a menu of small plates designed to share. Take the Pulled Tandoori Chicken Bao with tamarind glaze for example or Mustard glazed tofu with roasted coriander and zaatar tomato chilli chutney. South Indian Tempered Crab is paired with pomelo and a spiced mayonnaise and there’s even a Butter Chicken Pizza. For the stalwart traditionalist, your Biryani may be served with kale crisps and saag paneer may be a lasagne but give it a try. Friday and Saturday brunches are perfect for sampling many of the menu options without committing to à la carte. With your toes in the sand, sea breeze in your hair and a bar on the beach, you’ll think you’ve arrived in paradise. Oh, except for the continued land reclamation blocking all but a slither of the Arabian Sea views. Order sundowners through the 3-hour Happy Hour from 5 pm saving 30% and suddenly the sea views become more acceptable. Masti isn’t simply somewhere to explore contemporary Indian cuisine, they also have a dedicated gin room. You’re going to love the cocktails! With one of Dubai’s widest selection of gins, settle into a cushion clad banquette and pick your poison. T-Groni – Bombay Sapphire infused with 3 Teas, Campari, Casa Mariol (Spanish Vermouth) and smoked with apple wood. So-Oolong Ceylon – Chivas 12, Bombay Sapphire, Mezcal, pomegranate liqueur, oolong tea syrup & Fever Tree lemon tonic. For the less Gin inlined, try a Turmeric Tommies – Del Maguey crema de mezcal, Reposado Tequila, turmeric, agave, fresh lime & lava salt. For a full list of delectable libations follow this link. Cheers! New to Dubai, Stars N Bars sports bar/ casual dining/ live music venue is off to a good start. Open from 11 am, with 3 hours of happy from 5 pm, Stars N Bars offers some great views from both inside and on the outdoor terrace. Two levels give patrons the choice of how loud they like their live music. For the beer lovers among you, there are 18 on tap and 19 by the bottle while cocktails, spirits and a reasonable wine list take care of the rest of us. There are bar snacks, burgers, salads and tacos; pretty much what you’d expect from a solid bar expecting to last the competitive Dubai hospitality distance. This 25,000 sqm space houses temporary and permanent exhibitions of Dubai and the UAE’s history, development and politics. Details of the “founding fathers” and their place in the structure and development of the UAE have a permanent home. Laws and rights of the Emirati people and residents of the UAE are shared while the future is presented through Space projects. Said to be built on the very spot Dubai was founded, that in itself is reason enough to take a look. The museum is open from 10:00 am until 08:00 pm daily. The only mosque in Dubai open to non-muslims, Jumeirah Mosque has tours daily. Bookings are recommended but not required provided a timely arrival at the entrance to the mosque at 09:45 am is met from Saturday to Thursday. Tours begin at 10:00 am and run for 75 minutes. Water, dates, Arabic coffee, tea and traditional pastries are provided for the AED 25 entrance fee. Aside from observing the beauty of the mosque’s interior, included in the tour Emirati culture, religion and lifestyle are shared. Be prepared: Ladies take a scarf or pashmina to cover your head and ensure shoulders and knees are covered. Gents, ensure shoulders and knees are covered. Traditional dress is available on a first come basis so be early or be prepared. For those days when all you feel like is lying on the beach with today’s paper and taking a dip in the sea head to Jumeirah Beach. With the multitude of private beaches along the coast claimed by 5-star resorts, free beaches are few and far between. Part of Jumeirah’s facelift has been the development of La Mer. A seaside shopping, dining, entertainment district with free beach access. On completion, Jumeirah Beach will become 2 distinct north and south beaches. For now, access to the south beach is restricted by construction, but the north beach is open and well patronised. Reservations can be made for private cabanas (not necessarily free) to stave off the UV rays. If a little more action is required a water theme park is close to opening. Hawa Hawa, a gigantic trampoline for kids (and adults) is already happening and there are whispers of a cinema opening soon. Pic courtesy of Mercato Mall. When you realise you’ve left the quintessential LBD at home or his shorts need to up the game a little for brunch, then the Italian Rennaissance inspired Mercato Mall is your go-to shopping destination. Catering to Dubai residents and visitors this manageable mall (140 shops) may seem tiny after Dubai Mall but you can get in, get what you need and get out. Think sunnies, beachwear, activewear and accessories, all the things you need at the beach. There’s more you may not necessarily need but it wouldn’t be Dubai without retail therapy being administered. Pic courtesy of Nikki Beach Resort. Nikki Beach Club’s infamous “White” parties have been an attraction on the global beach party scene since 1998. Jack Penrod, at the request of the Miami mayor to revive Miami Beach, opened the first in honour of his daughter who passed away. Now, with clubs in Spain, Greece, Italy, Turkey and Thailand, there’s finally one in Dubai. Dubai makes a total of 4 only with resort and spa facilities and this exclusive property is on none other than the newest of Dubai’s manmade islands, Pearl Jumeirah. Pearl Jumeirah will eventually become a destination island as Palm Jumeirah but at this stage, Nikki Beach Resort & Spa (or Nikki Beach Club) is the main attraction. The signature all-white decor runs from the lobby through rooms, the spa, dining areas and the pool. Nikki Beach Resort & Spa is currently offering guests reduced rates through the summer season and while the island is developing. Take advantage now, this won’t last long. One of the older beach resorts in Dubai and sadly, through coastal development, losing its “expansive Arabian Gulf views”, Dubai Marine Beach Resort & Spa (DBR) is still a great resort for families, couples and business visitors. Within DBR you’ll find 14 restaurants, bars and entertainment venues. The secluded kid’s pool along with a decent sized main pool are perfect for cooling off or step onto the sand for a beach swim. In close proximity to local attractions; Jumeirah mosque, Etihad Museum & Mercato Mall, DBR is only 15 minutes from the CBD and the same from the Dubai International Airport. Pic courtesy of Dubai Marine Beach Resort & Spa. A relative newcomer to Dubai’s #eat #drink #explore #shop & #stay scene, City Walk is fast becoming a destination for visitors and locals alike. Its easy access to Sheikh Zayed Road and Jumeirah Beach districts makes it a popular spot to pop in to shop for a couple of hours or to stay all day. City Walk is fast becoming the go-to for some of the world’s most lauded chefs. Virgilio Martinez’s Central in Peru is the 5th best restaurant in the world according to the World’s 50 Best awards. He has brought this contemporary Peruvian restaurant to City Walk via 2 sister restaurants in London. Take a closer look through this article and you’ll be pleasantly surprised that this global fine-dining experience carries a wallet-friendly price tag. The casual indoor/ outdoor vibe at Grapeskin is perfect for a cocktail or 3. With daily happy hours, Ladies AND Gent’s nights and live music twice a week, Grapeskin also focuses on wine as the name suggests. From the kitchen, cheese and charcuterie sharing platters of note are on standby for the peckish. The cosy rooftop pool bar at La Ville Hotel has Downtown views centred by the Burj Khalifa. Open from 10 am offering cocktails and lounge service, take a dip, grab a snack or enjoy a catch-up snooze on a sunlounger. By evening with low lighting, the vibe smartens up with a chic urban crowd. City Walk is still expanding with new venues and attractions including entertainment for the kids. Dubai Arena, a 20,000 seat airconditioned stadium with automated malleable seating has the capacity to attract international entertainers to Dubai all year round. Due for completion at the end of 2018, Dubai can expect a lot more on the entertainment calendar. Pic courtesy of City Walk. Few will be immune to the retail bug’s bite at City Walk. With over 50 fashion outlets and dozens of speciality stores, the outdoor mall offers a shopping fix away from the indoor mega complexes. Enter the cool open space of La Ville Hotel’s lobby and you know you’re in for a 5-star experience. As part of Marriott Hotels’ Autograph Collection, attention to detail is a given. Freestanding baths and walk-in showers in marble bathrooms are standard throughout. Room sizes begin with a generous standard at 40 sqm. Interconnecting family rooms are available along with 1, 2 and 3 bedroom apartments. Marriott Rewards members automatically receive reduced nightly rates, free wi-fi, mobile check-in and depending on your tier, complimentary room upgrades. La Ville Hotel and City Walk’s dining and entertainment surround you while the CBD and Downtown attractions are just a few minutes away. Pic courtesy of La Ville Hotel. When Dubai Canal entered the landscape only a year or so ago it separated Jumeirah 2. We’re using Dubai Canal as the border between Jumeirah 2 and 3. I apologise to all perfectionists out there, but I can guarantee this will make life easier. So here’s where to #eat #drink #explore #shop & #stay in my Jumeirah 2. Located beachside at the Four Seasons Resort Jumeirah, Sea Fu’s entrance through tropical greenery creates a chilled mood. Accompanied by the setting sun and the sounds of the sea, this Asian influenced seafood restaurant relies on fresh catch of the day to deliver sushi, sashimi, ceviche, tartare and the magnificent raw bar selection. Four oyster varieties at surprisingly affordable prices are too tempting to resist, but for complete indulgence, a caviar pairing with chilled Russian vodka is perfect for that special occasion. Sea Fu’s Saturday Seafood Brunch is a great way to wind down the weekend. From 1:00 – 4:00 pm tuck into Japanese savoury Okonomyaki Omelettes or the Akami Pizza with fresh tuna and many other delicious seafood delights. Rated highly in Dubai’s restaurant scene, Coya is another standout for those seeking Peruvian Cuisine. The village atmosphere and striking interior make a meal at Coya a fiesta. Tiraditos or Peruvian sashimi include Salmón Curado – Cured salmon, cucumber, basil aji amarillo and black radish OR Tataki de Res Wagyu – Wagyu beef tataki, cashew nut puree, josper leeks. Recommended Tacos are Atún – Tuna, yuzu, green chilli; Cangrejo – Soft shell crab, avocado wasabi tobiko and Aguacate – Avocado, quails egg, manchego, smoked yoghurt & seeds. To take the pain out of ordering, a selection of set menus take you on a Peruvian journey. There’s even a complete Vegetarian Degustation. Tapping into our curiosity, Hendricks Bar takes us on Sir James Hendricks extensive global travels with region-specific cocktails. 66 (yes, 66!) gins are presented in 4 categories; Herbal & Floral, Citrusy, Fruity and Spicy. Choose your gin and let the experts do their work. ** Hendricks Bar allows smoking and has what cigar smokers tell me is a fine selection. If the smell of cigars is not your favourite fragrance then Hendricks Bar is not for you. On the beach, around a fire-pit, enjoy your chosen libation listening to the sounds of the sea in between the resident DJ’s sets (Tues – Sat). Happy Hour 2 for 1 drinks between 5:00 and 7:00 pm daily make it a lovely sundowner location pre-dinner. Shaded by trees with a white sandy beach, Jumeirah Beach Park is perfect for a picnic or grab a coffee from the kiosk after your morning swim. AED 20 gets your car in but it will only cost you AED 5 on your feet. Lifesavers are on standby and Ladies, on Sundays and Wednesdays while the blokes are off doing, well, blokey things, we have the park and the beach to ourselves. From Dubai Water Canal Ferry Station enjoy the land view from the water, either on the way to Old Town (Al Ghubaiba) or Dubai Marina. Check the ferry schedule for sailing times and don’t forget your camera. Pic courtesy of Box Park. This stretch of retail on Al Wasl Road makes tremendous use of discarded shipping containers. Not a new concept, but one that’s executed well at Box Park. In the mix find containers of branded Surf and streetwear, fashion and footwear, homewares and gifts. Feeling peckish? There are 20 containers dishing up deliciousness from burgers, kebabs and falafels to salads, desserts and gelato. Catch the latest blockbuster or that arthouse film you’ve been meaning to see at the new Roxy Cinema. Settle back in your oversized armchair with footstool, blanket and pillow at the ready. Pic courtesy of Roxy Cinema. Pic courtesy of Four Seasons Resort Jumeirah. The Four Seasons Resort leads the limited accommodation options in Jumeirah 2. There are far more at Jumeirah 3, Madinat Jumeirah and the Palm coming up in part #4 of #myDubai Guide. Four Seasons Resort has a way you can massage your budget by offering savings on advanced reservations and multiple-night stays. Until new years eve 2018 Four Seasons Resort is offering a saving of 15% for reservations of 3 nights or tack on 2 more nights and the saving increases to 20%. Reservations need to be made 30 days in advance. So if your plans are set, be sure to follow this link and take them up on their offer. Four Seasons Resort’s Arabic design and influencers are an intoxicating reminder of your desert adventure. For general information on visiting a Muslim country please follow this link back to #myDubai Guide Part #1: The Historical Hub! Here you’ll find details on sensibilities, respectable dress, the weather and laws around alcohol. Coming up next, #myDubai Guide, Part #4: The Palm and Marina. Until then, paraphernalians, do the things you love…. For regular #eat #drink #explore #shop & #stay updates subscribe to our shenanigans and receive a heads-up direct to your inbox. Don’t worry, only admin sees your email address. You know we love a chat, so scroll down, add your comments and please share this article on social media using the simple icons below. Thank you for your support as always! What a beautiful place to explore and lots of things to do. I hope I’d get the chance to visit that side of the world. The beaches are wonderful and peaceful. The food looks like delicious and mouthwatering. Keep posting and thanks for interesting post. This is an incredible guide! I didn’t know much about Jumeirah to be honest so it was interesting to read everything to see and do (and eat) in the area. Dubai fascinates me in many ways so I do think I should visit and explore it to see what the fuss is all about. Jumeirah Mosque would definitely be high on my list. Unlike maybe some of these restaurants which I probably couldn’t afford! So many cool places to eat, stay, shop and visit in Dubai! Thanks for the detailed insights of Jumeirah! UAE is on my travel bucket list – hope I get to visit soon! Damn those drinks look good! Wouldn’t mind getting a Turmeric Tommy or two! Love all your Dubai posts. I am pleasantly surprised to read that the oysters are affordable. Gotta go to Dubai soon. That’s a fantastic overview of Jumeriah..! Thanks, Johnathon. There’s a lot going on there and more to come. Stay tuned for part #4 with the rest of the beach down to the Palm and Dubai eye. Cheers! Ohh Shona, your posts on Dubai invite me to visit Dubai like, now. 🙂 I really have to reserve time and money to visit that mysterious country as soon as possible. Thanks for all the tips on restaurants, the food looks so delicious. The rate of development in Dubai is mind blowing. They think of it and do it. A pity other places couldn’t do the same. Another excellent article. Dubai is certainly going off. 2020 is going to be spectacular. We have a few days stopover in Dubai later this year so I might just tuck this away. Part #4- the finale will be out in a couple of weeks, Lyn. Put all 4 together & pick the eyes out of it. I haven’t even started on what to do in the desert yet. 😊 Email me if you’d like more info. Cheers! Posts like this are the reason I can’t go to Dubai! There are just too many places – theres not enough annual leave for me to go and see everything, it all looks amazing… Guess I’ll have to pin it and just keep daydreaming!!! I follow you Michael, your blog is fab so I have some idea of what you guys enjoy. If you have even the slightest desire to hit Dubai, let me know how many available days you have & I’ll set an itinerary for you. Who doesn’t love to travel? Whether it’s your annual road trip or country hopping with no fixed address, travel is good for the soul. Travel opens our minds and our hearts. It makes us more aware, more tolerant, whether we travel together or go it alone. Hi, I’m Shona and welcome to paraphernalia.co, a world travel guide where we share the things we love…. Sri Lanka: Colombo to Kandy Road Trip! Sri Lanka: Colombo, the Commercial Capital! Sri Lanka: Where to Begin? UAE: 24 Hours in Abu Dhabi! Bangkok: Cabbages & Condoms Restaurant Review! 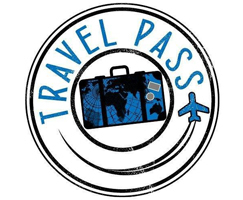 paraphernalia.co contributes monthly to Travel Pass Magazine with exclusive articles. Travel the world with paraphernalia.co & other influencers @ Feet Do Travel.